Push-Pull Transformers - Agile Magnetics, Inc.
Push-Pull Converters, which feature highly efficient design and maximum power densities, are gaining popularity for use in a broad array of applications. Used extensively in high power switching transformer applications, these units provide excellent cost-effectiveness and the capabilities for space-saving, compact design. Agile Magnetics offers the highest quality design and performance for custom Push-Pull Transformers. 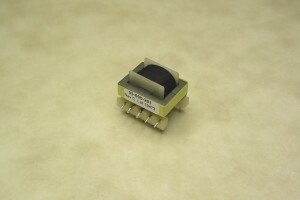 The main difference between Push-Pull and Buck-Boost Transformers is the number of transistors employed in each transformer design. Push-Pull Converters feature pairs of transistors, which periodically reverse the current in the transformers by switching on and off. Buck-Boost units, however, work with a single transistor working in the same way, so current is drawn half the time. Push-Pull designs are advantageous in high power applications, operating with greater efficiency and less noise. Our highly experienced team of design engineers, ready to advise customers about the best transformer for their needs, is available to improve existing designs or to create new ones. Once ready, we can take designs through the production and manufacturing stage, even testing products for quality and performance upon completion. We are ISO 9001 compliant, and our products can be manufactured to UL, CUL, VDE and CE, with UL and CUL markings when required. With our 40,000 square foot facility, we can fulfill orders of virtually any size and complexity; this allows us to ensure timely delivery that never compromises on quality. To learn more about our custom Push-Pull Transformers or to get a quote, please contact us directly.